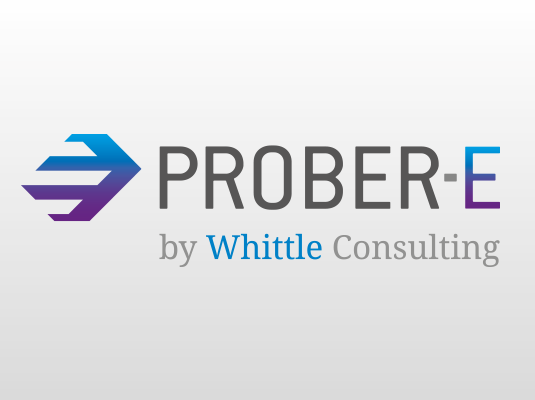 Prober-E is a unique & highly sophisticated proprietary software system developed & used by Whittle Consulting for Enterprise Optimisation. All 10 Steps of a Whittle Enterprise Optimisation model are interrelated and are therefore considered simultaneously. The mathematical permutations quickly become exponential to the point that simulation techniques alone cannot cope. Sophisticated optimisation is therefore required, which Prober-E achieves. Whittle Consulting has over 30 years’ experience in the mining industry. Starting with the Whittle Pit Optimiser software, Whittle Consulting has since developed software to control every aspect of the mining business, from the mineral resource through to cash flow. Prober-E is the most advanced optimisation software available for the mining industry. It is a proprietary multi-thread, cloud-enabled, non-linear, multi-variable, simultaneous optimiser. Prober-E has the power to resolve the largest and most complex Enterprise Optimisation models. This allows Whittle Consulting to harness the substantial knowledge, understanding and data that already exists within the mining organisation without having to compromise on detail. Once the Prober-E system is set up, you can run multiple scenarios quickly. With Prober E, Whittle Consulting can evaluate dozens of scenarios in weeks, not months, and thoroughly consider how the options will affect your business. The most powerful mining optimisation software in existence. Whittle Enterprise Optimisation is the culmination of 30 years of development by Jeff Whittle (AO), the founder of Whittle Consulting. Software packages typically used by owners and mining consultants for mining optimisation. A version of Prober-B Software released late-2016 to general market via GEOVIA Whittle. Enterprise Optimisation including TOC and ABC available only through Whittle Consulting.